With 2018 coming to a close, all eyes are looking toward what the New Year may hold. In Washington, eyes are on Congress as the government shutdown continues. In the federal technology sector, officials are looking for formalized leadership on IT security, strategies on how to best capitalize on cloud capabilities and real answers on what exactly artificial intelligence and machine learning can actually do for them. Attention will be on ending the government shutdown/passing full-year fiscal 2019 appropriations for all agencies. As the current government shutdown will continue into 2019, the PSC will be urging Congress to act promptly on the remaining appropriations. While history shows that furloughed federal employees (and those who were required to work without pay) during a shutdown do get paid, federal contractors do not. The debt ceiling will impact the chance for a spending agreement covering federal FY20, which begins October 1; something to watch for in summer 2019. There’s risk of gridlock for the FY20 budget and appropriations cycle. Congress could and should formalize the role of chief information security officer, as well as penalties for cybersecurity breaches. One, Congress will mandate that agencies have CISOs that report directly to or only one level removed from the agency head. What authorities and responsibilities they have still are not formalized, and that should be solidified along with reporting structures. 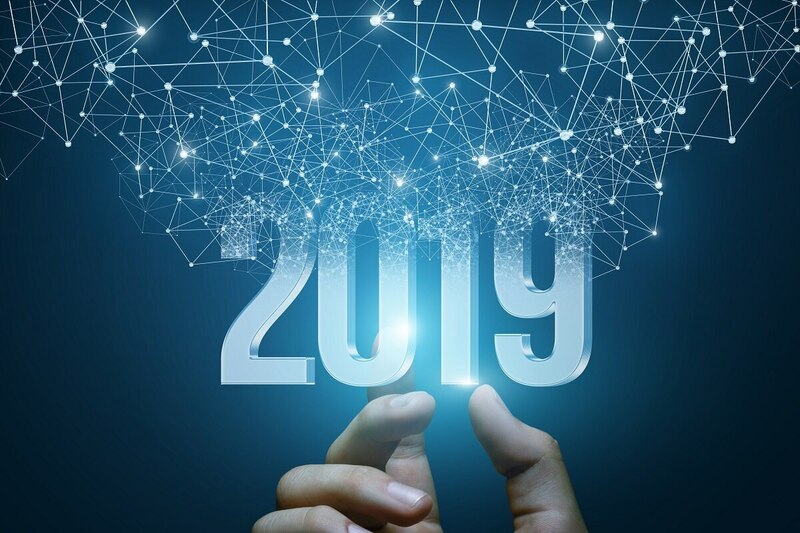 Two, In 2019, Congress is likely to consider legislation creating criminal and civil liability for certain data breaches. Congress has been intent upon seeking accountability for those who have not acted reasonably in protecting information. More consolidation & more bundling creating less competition as the contracting workforce continues to lose manpower and suffer from lack of training and professional development. Expect increased use of OTAs [other transaction authorities] by a range of federal agencies. Look for a forthcoming intellectual property policy at the Department of Defense. There will be increased action to address the supply chain and agencies’ risk management. Watch for DoD implementation of the restricted buy list and further action on treating cybersecurity as a “fourth pillar” of DoD (and other agencies’) acquisitions. Expect further legislation and regulatory implementation around cybersecurity and supply chain integrity applicable to both government and to contractors. Security clearances will be an area to monitor, including the transition of National Background Investigations Bureau from the Office of Personnel Management to DoD. At least part of the goal of this is reducing the backlog of security clearance applications and making the future process more effective and efficient. Movement in Fed workforce for professional cooperation to make up for dysfunctional hierarchy will grow. Employees in gov't, grantees & contractors will empower each other through unofficial online groups, exchanging shadow IT, and civil servants participating in civil society. Smart, motivated people will be much harder to find in 2019's public sector. That means both non-traditional contractors and innovating civil servants will have a lot of opportunity to shine. Watch for increased constructive and destructive federal IT oversight hearings from the Democrat-controlled House, including from the Oversight and Government Reform Committee. There will be a need for greater progress on IT modernization, use of cloud tools and growth of artificial intelligence/machine learning for federal agencies and contractors. This may require additional OMB policies on technology modernization and advocating for rapid implementation of proposed and final policies by federal agencies. Artificial intelligence/machine learning will go from a nice-to-have to a must-have: As agencies begin to mandate AI and ML as a part of technology procurements, there’s a fear among IT teams that it could eventually replace the workforce. Instead, AI/ML has started taking on more of the tedious, data-heavy tasks that allow practitioners to spend more time on items that require human intervention, like optimizing service delivery and security workflows. The virtual analyst will also increase in importance, helping augment once-understaffed security teams by scaling existing resources. Multi-cloud solutions continue to grow and agencies will need additional tools to manage increased complexity: Multi-cloud deployments, while no easy feat with the pressure of the Cloud Smart initiative, have become key for each agency’s flexibility. As agencies’ footprints grow, they require more flexibility from the IT services they employ. Teams will begin to work more aggressively to build more centralized and cloud-agnostic services, simplifying adoption of multiple cloud providers. From a data perspective, this will mean having a way to unify meaningful insights from across a variety of data types and sources. Organizational interconnection creates disconnections in IT operations: Public sector agencies are constantly looking for ways to increase data interoperability and workflow efficiency, especially as CDM prompts conversations about threats of cyberattacks and security preparedness. As agencies see its benefits, shared services will increasingly gain relevance for increased security and cost savings. Although a move to shared services could increase service disruption and scrutiny over security posture, they’re going to be well worth the risk to create more connected environments. AI will learn to explain its decisions: In 2019, we will demonstrate when and how artificial intelligence can be trusted. Working with the Defense Advanced Research Projects Agency, we will develop a system that will show users which data mattered most in the artificial intelligence decision-making process. We will build trust by giving users enough information about how the machine reached its recommendation so that they feel comfortable acting on it. Compliance with #cyber requirements for lower-tier suppliers and subcontractors will cause a great deal of issues and disruption. North Korea will continue their financially motivated attacks on banking institutions and, as their charm offensive is likely to end next year, they may resume destructive attacks in South Korea. China will continue to ramp up commercial cyber espionage efforts as trade war escalates. Containers will be a rising focus of attacks next year. Attackers will start to leverage adversarial machine learning in their attacks to bypass security products reliant exclusively on machine learning for detection of malware. Cyber insurance rates will go up because of the increased payouts and risk. Our cyber infrastructure will become more vulnerable and our adversaries more aggressive: In 2019, the sheer number of connected devices and people will rise, increasing both attack surface and attackers. Cyber-adversarial nations will respond to their own pressures: Iran is under growing sanctions; China faces increasing trade pressures; and Russia’s lagging economy is expected to decline. Responding to this cybersecurity challenge calls for a more holistic approach that coordinates the actions of private industry, government and academia. This new approach has been characterized as a “cybersecurity moonshot,” with a goal to create a secure Internet for critical infrastructure, financial transactions, and other lifeline services, while strengthening privacy controls. The cyber arms race intensifies with traceless, fileless malware becoming the attacker weapon of choice: Like ransomware in 2018, fileless malware, which according to the Ponemon Institute are ten-fold more successful than conventional malware attacks, will grow popularity among attackers. Agencies with legacy security tools will be at the greatest threat, but even those with advanced monitoring systems may be vulnerable to malware that hijacks and weaponizes local operating systems. Agencies will seek new ways of combating them, such as tools that grant deep visibility all the way into the compute and memory layers of infrastructure. Such tools will be able to see when nodes are being used outside of normal parameters, indicating something is wrong.